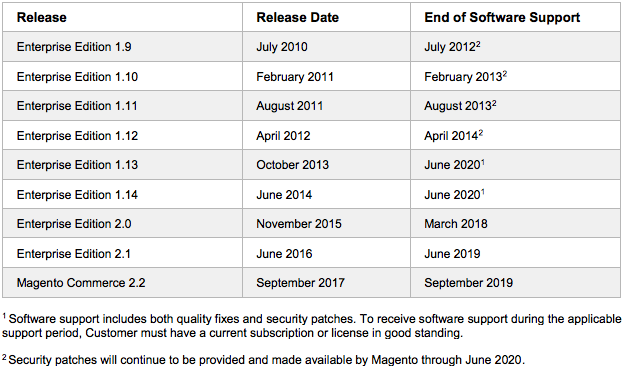 If you are running a 1.x version of Community Edition Magento store you need to plan on all security patches ending in June of 2020. This means you should seriously consider planning for completing a migration by that date (about 22 months from now). If you are running 1.X version of Magento Enterprise you can plan on Magento support for those products ending according to the table above. Like CE merchants you can plan on all security patches ending in 22 months. Bottom Line: If you are still running Magento 1.X you have 22 months to complete a migration.